Proforma Green Marketing is proud to offer this online version of our TRIO Conference Kiosk. All items are printed with the stock TRIO logo. Items are sold by case. 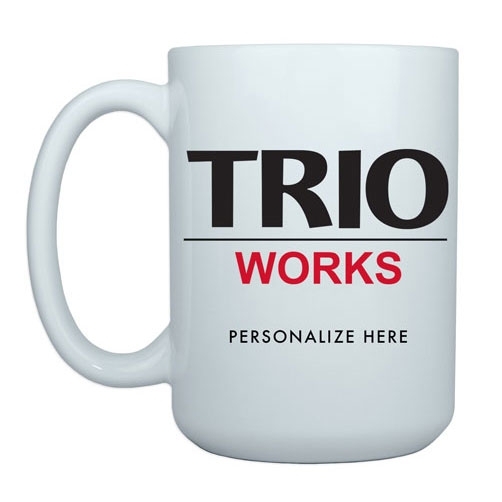 If you are looking for ideas on custom printed TRIO items please visit the TRIO ideas blog at proformaTRIOideas.com or email us at trio@proformagreen.com. Even better, send us an email us at TRIO@proformagreen.com or call the office at 866.241.7606. Proforma is one of the largest print and promotional item suppliers in North America, with access to over 600 manufacturers and 30,000 products. We would love the opportunity to work with you on your custom TRIO project. Please contact us today. If you need quantities larger or smaller than shown, please let us know. If you need color not shown, please let us know.